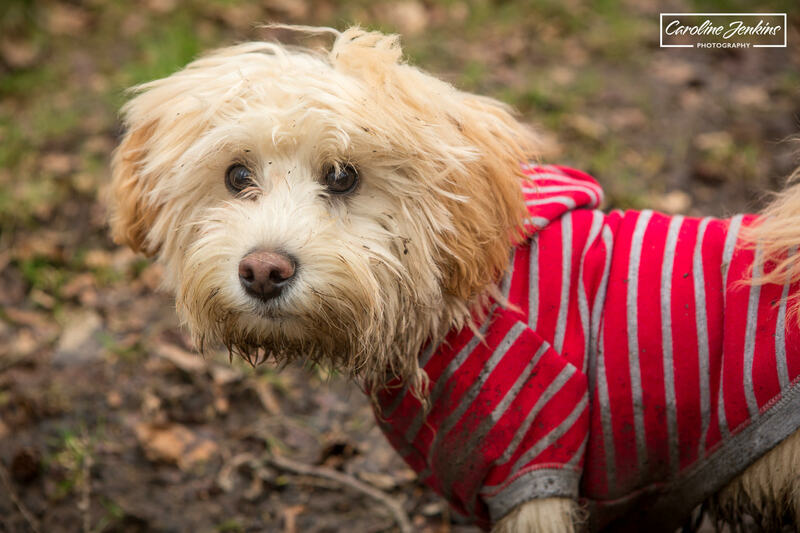 Who Doesn’t Love A New Dog Walk? 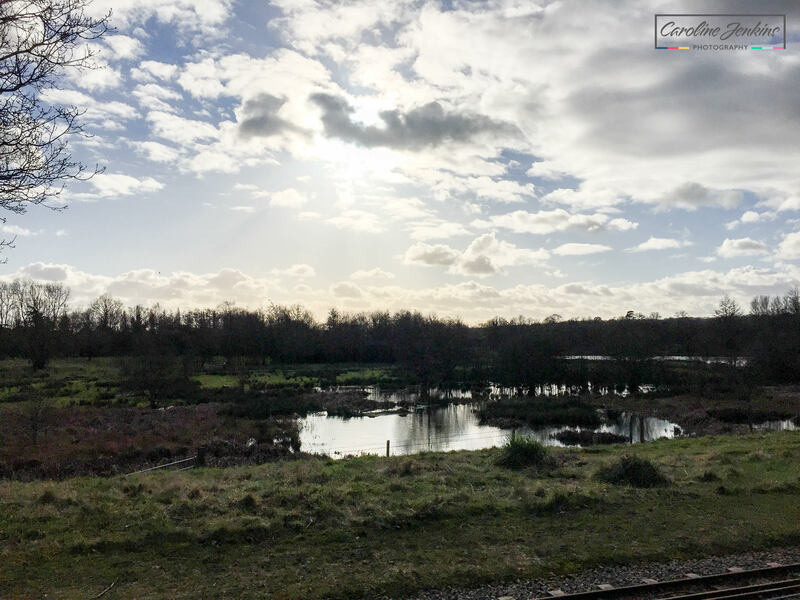 This year I have started a series of blogs about great places that you can take your whole family (dog and children) locally to Chandlers Ford and the surrounding areas in Hampshire. 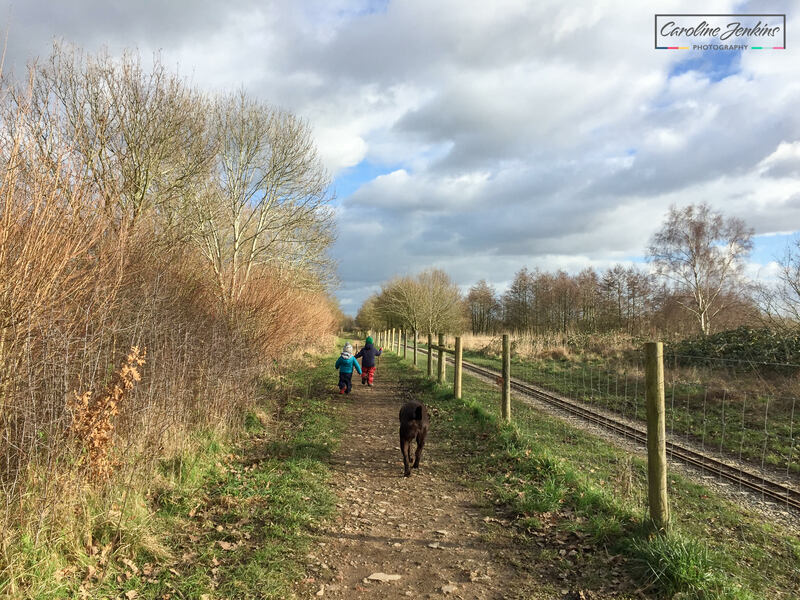 As a mum to two little people and a brown labrador, I know full well that dog walks need to have certain elements within them to keep all members of the family happy – nobody wants to have a boring walk after all! 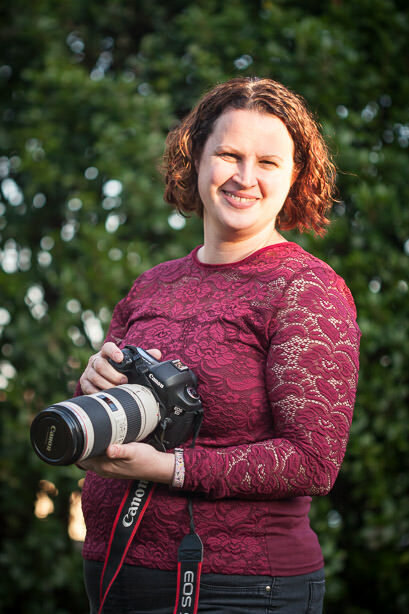 So I thought I’d share the best places that work for us – they may not be ideal for everybody, but I thought it would be useful to share them as I don’t thimk it’s possible to have too many good walks on your list! And please don’t assume that these are only designed for the dog-lovers out there. They are just as great for children and families without dogs! The first blog I did was on Farley Mount on the outskirts of Winchester and the last one I published focussed on Testwood Lakes, just outside Totton. 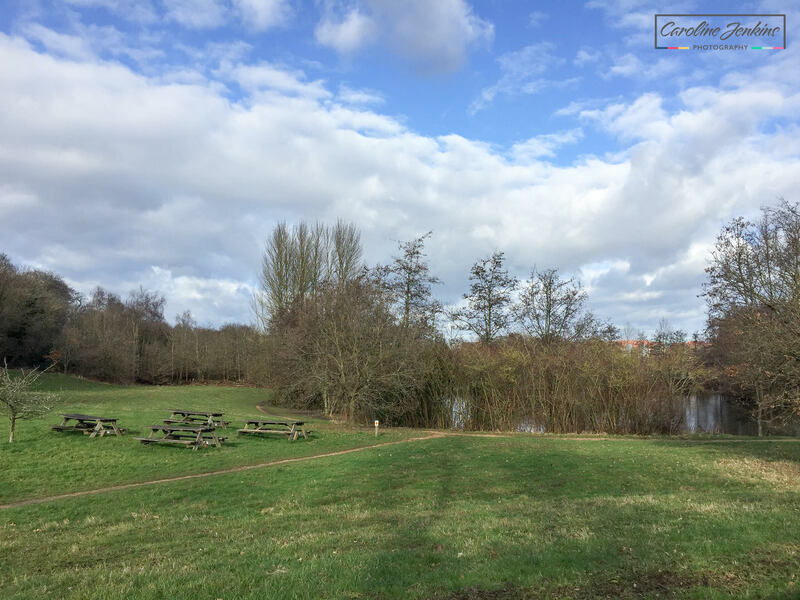 My third blog in the series of family-friendly dog walks focuses on Lakeside in Eastleigh, just outside Chandlers Ford. It is really easily accessible as is very close to Southampton Airport and the motorways. We first started going here a few years ago (before the children came along) after a recommendation from a friend, but to be honest I never really knew where I was going, and just tried to make a route up as I went. The problem with this was that the areas around the picnic benches and lakes are ‘zoned’. 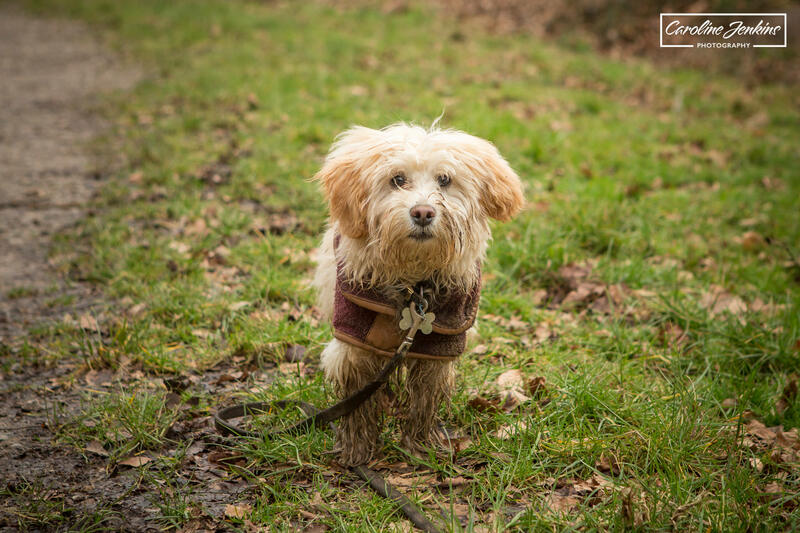 So in some areas dogs have to be on the lead and in other areas dogs are allowed off the leads. 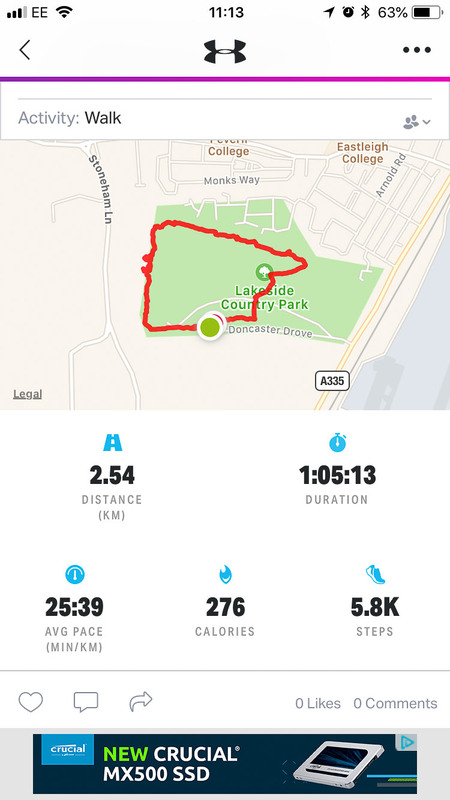 This gave me more stress as I really didn’t want to take Josie on a nice long walk, but have to keep her on the lead for half of it. So last year I bit the bullet and went exploring on my own, and it turns out that there’s so much more to the area than the initial land and lakes that face you. 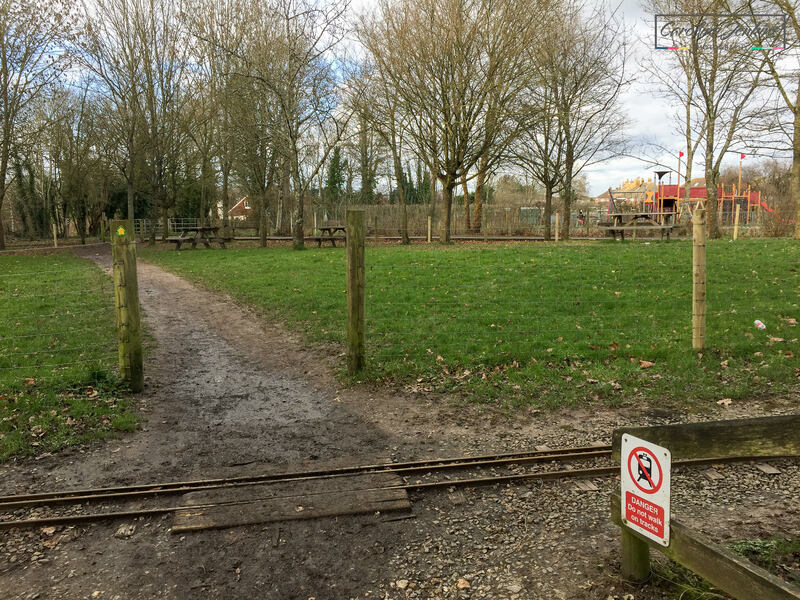 Starting from the very end point of the car park, you walk upon the gravel path and then turn right through a gate that is labelled Lakeside Country Park. From there it is a mud tree-lined path alongside the lakes to your right. 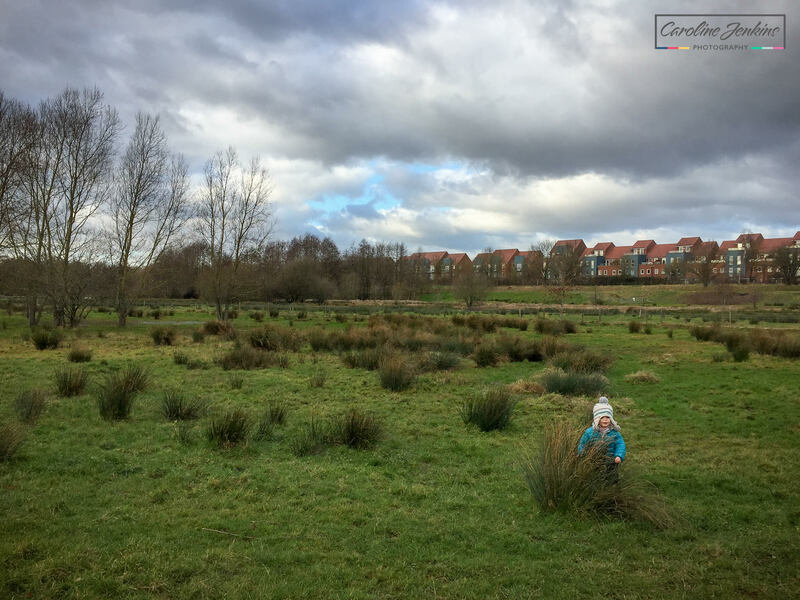 This is a great place for the kids to run off steam, and veer off into the trees on the left, where we have played endless games of hide and seek and explored! At the end of the mud path you reach the train track. You have two choices here – you can either follow some steps around to the right which will take you down to the lakes, or you can cross the track to enter the path or resume the walk. 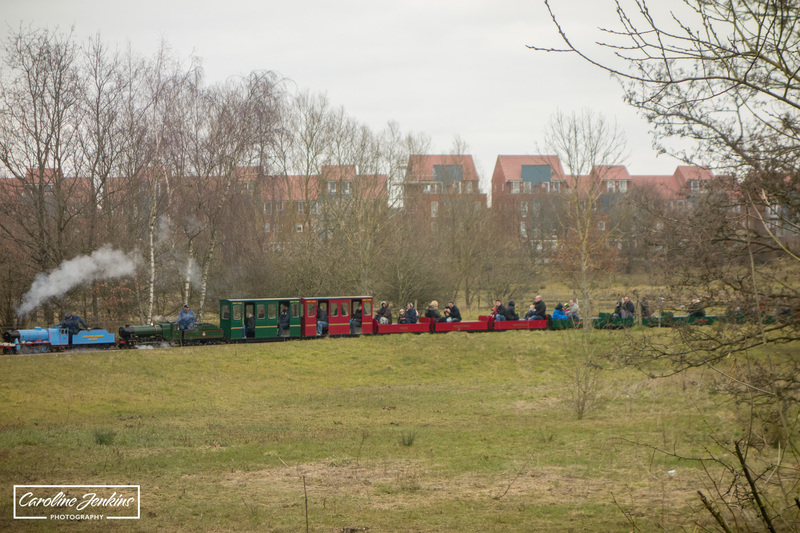 To continue with the walk, you need to walk along a concrete path for a while, with the park on your left and the train track on your right. The concrete path ends and another path starts, which is enclosed within wire fences to stop anybody falling onto the tracks. This is a great path for the kids to run up and down as very few tree roots or anything else for them to trip up over. As you get to the end of the straight, you then have two choices. You can cross over the tracks and go down some steps to a grassy track (set between two fences with barbed wire so be careful). 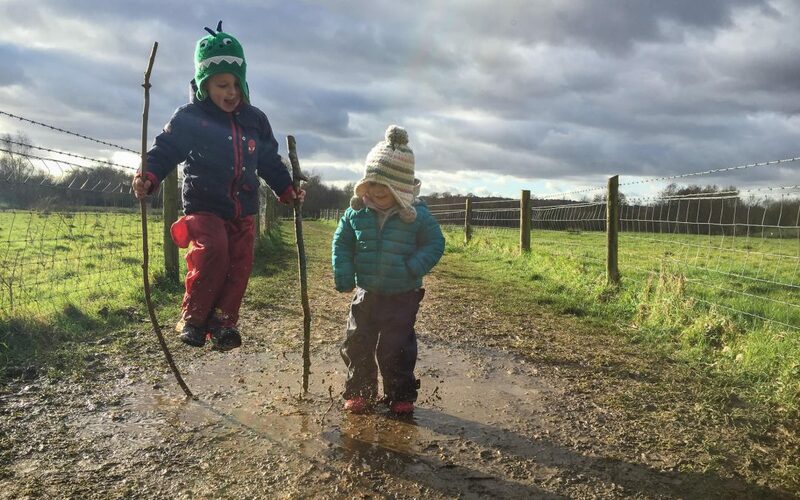 This is great if you want to get back towards the lakes or run through the fields of long grass (which in the winter is like a marsh land so absolutely full of very deep puddles – great for children and dogs alike to jump upon and down in and run through)! This way also takes you back to the car park and trains station. 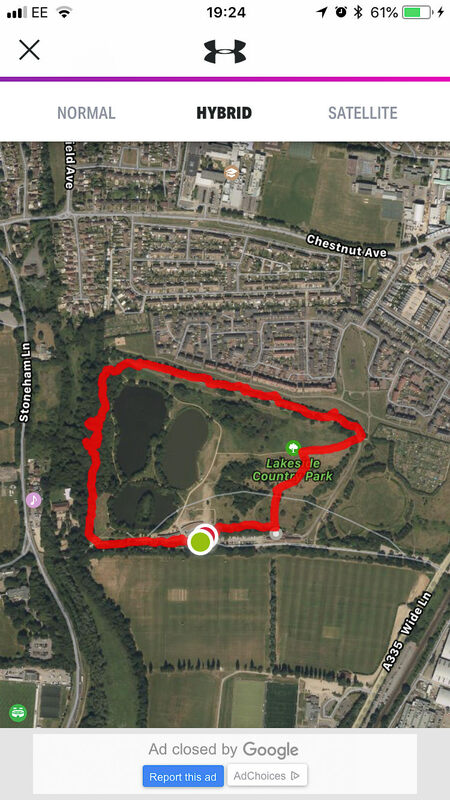 A good option if you wanted a slightly shorter route or need to get back quicker. The alternative route is to keep falling the track around to the right and crossing over the fields over the bank. This is great as it leads to massive bowl in the field, which the kids and the dog have literally spent hours running up and down, which inevitably turns to rolling! Lots and lots of fun to be had. 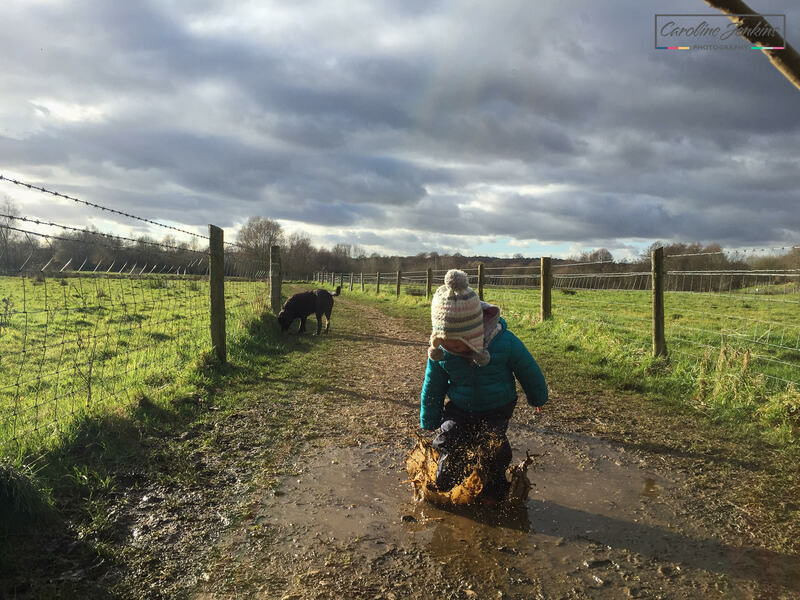 Just be careful in the winter as the ground is treacherously muddy and incredibly slippery. If you follow the bowl around, it pretty much takes you back to the train station and the car park again. 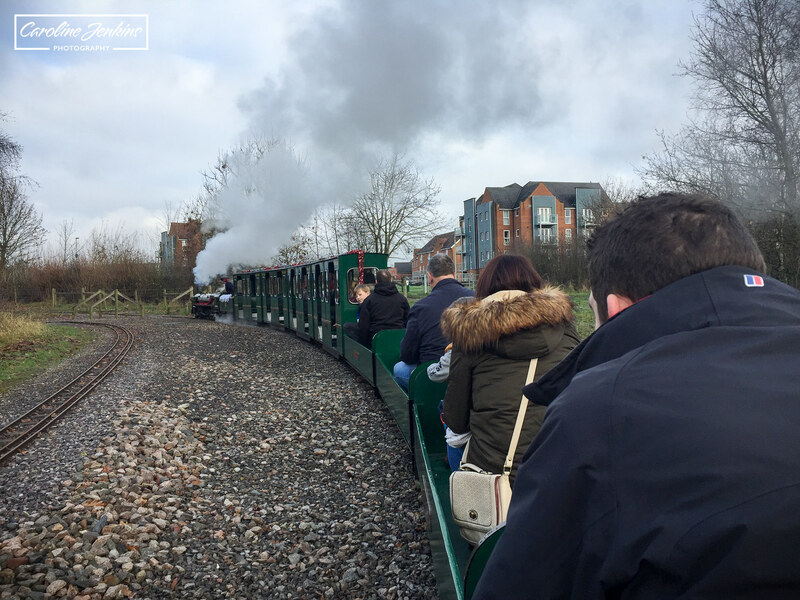 This is open on weekends and holidays and operates miniature steam locomotives that you can sit aboard and go for a trip to the park and back. Not the longest journey in the world, but it does offer the opportunity to jump off so the kids can visit the park and you can have a picnic at the benches. 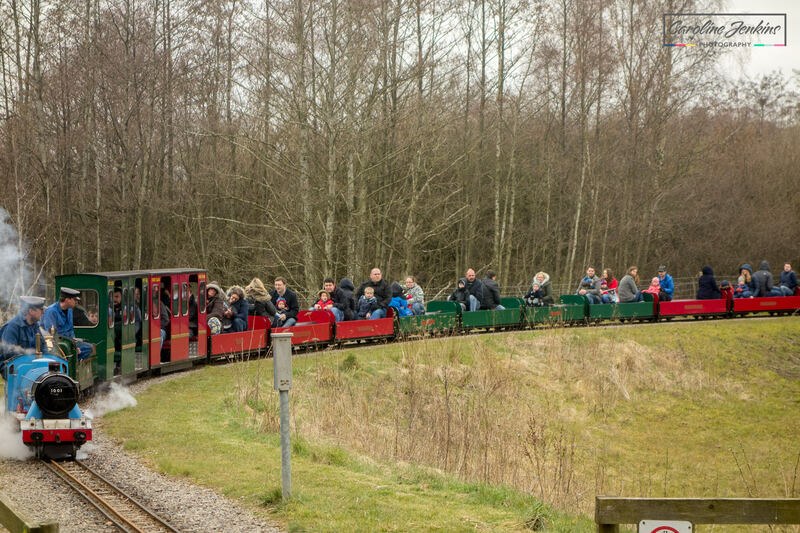 They also offer theme days, including a Day Out With Thomas and something festive in December. This is a really great little excursion which our kids love, especially when you go under the tunnel! A nice and clean metal structure that looks well-looked after and is a nice break / incentive for children who are walking all the way around the outside of the lakes. Now I am don’t claim to know anything about fishing, but I do know that they provide permits for anglers as I have seen the posters advertising permits and an angling club. I have also see the fishermen decked out in all their kit and waiting patiently (probably another reason why dogs are not allowed near the water). These are liberally dotted around, although tend to congregate in two areas – by the lakes and by the park at the top of the country park. 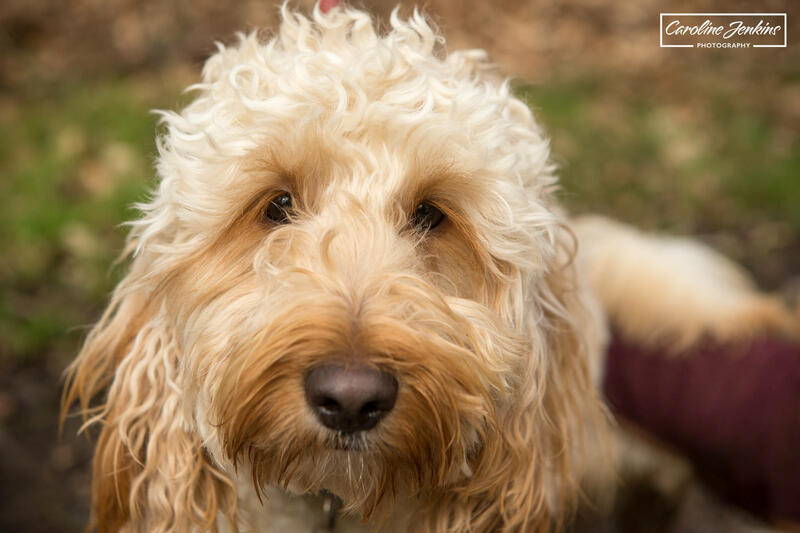 A great place to have a picnic, especially as dogs are not allowed off leads in the designated areas, so you know that your food is safe! These are dotted around the start of the walk and then again halfway around the walk by the park. This is open Tuesday – Sunday and although out only offers limited meals and is tiny, it is nice to have the option of a hot meal and drink on a cold and blustery day. Attached to the building which houses the cafe and train ticket booking office. It offers a large car park and parking is for free! Now I can’t personally claim to have spotted anything myself (probably because I’m always accompanied by two noisy children and an inquisitive dog who’ll scare anything away), but Lakeside boasts a range of wildlife according to it’s website, include foxes, bats, owls, kingfishers and even deer! 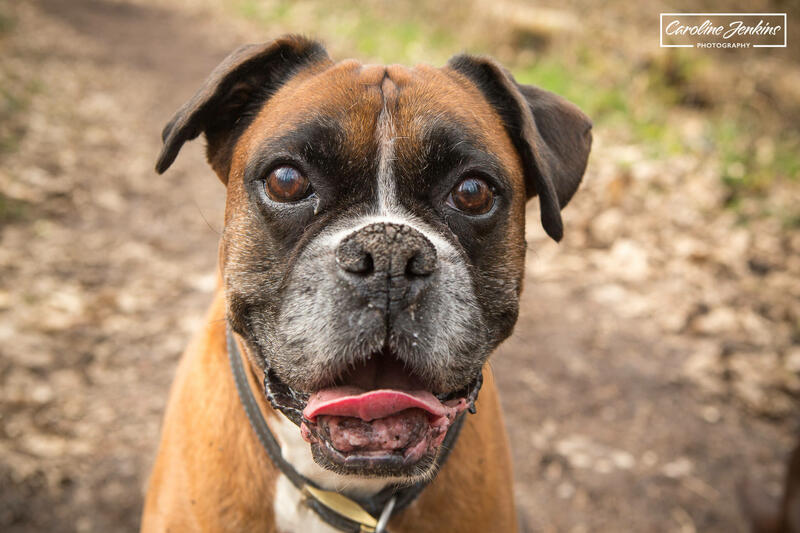 As I mentioned earlier – some areas around the lakes are not permissible for dogs to be off leads. After heavy rainfall, it can be incredibly muddy and slippery in certain areas. For the above reasons, I wouldn’t encourage pushchairs or wheelchairs to go on this route in rainy times. Am sure it would be fine when the mud is dried out and baked, but I think it would be too slippery in the conditions we have now. Bizarre to add it in this section when I’ve been singing it’s praises above I know, but if you have train-mad children (as I do) then use trips need to be planned carefully. We have always made it clear to the children that we can’t take Josie on the trains, and we certainly can’t leave her in the car while we go and play, so if we want to go on the trains then we plan a separate trip! Luckily they have accepted that and are more than happy just to wave and wait excitedly for the trains to peep at them!